'The peanut has morphed into a coconut,' Martin Sorrell proclaimed as his new venture made its second purchase. Martin Sorrell’s new venture, S4 Capital, has said it is in advanced talks to buy MightyHive, a programmatic marketing services agency, as its second acquisition. S4 is acquiring MightyHive for $150 million (£117 million), the company said on the London Stock Exchange on Tuesday morning. Mightyhive, whose chief executive is Peter Kim, a former head of ad platform business development at Google, advises brands on taking their digital marketing in-house. It sells itself as a "new breed of media consultancy" that provides media operations and training services, as well as data strategy and analytics. The company has its headquarters in San Francisco, with offices in New York, London, Toronto, Singapore, Stockholm, and Sydney. The announcement took place five months after Sorrell swooped for MediaMonks, a digital agency with headquarters in Amsterdam, as his first major purchase under S4. The deal will allow MightyHive to increase its global scale and offer a new integrated solution that will be amplified by the strength of its partnerships with Google, Amazon, and Facebook, the company said in a separate announcement. Meanwhile, Sorrell explained that S4 is structured on a "unitary" basis, with key people throughout the business being incentivised through "significant equity ownership." "The merger with MightyHive marks an important second strategic step for S4 Capital. The peanut has now morphed into a coconut, and is growing and ripening," he said. "MediaMonks' award-winning digital creative production and MightyHive's market-leading programmatic offering will give S4 Capital's clients end-to-end, fully integrated, and seamless capabilities in purely digital marketing." S4's focus on being close to Silicon Valley in California would "intensify," Sorrell added, following the MightyHive acquisition and the opening of a MediaMonks office in San Francisco. Founded in 2012, MightyHive has posted a strong growth record in recent years, having increased revenue from 2015 to 2017 at a compound annual growth rate of 129%. 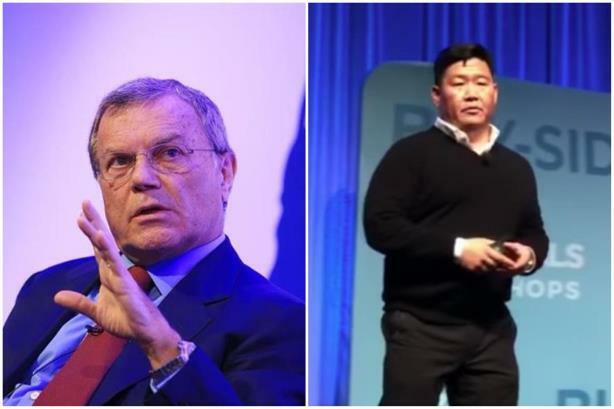 Sorrell launched S4 in May, within weeks of resigning as chief executive of WPP, the world’s biggest advertising company, amid an investigation into misconduct. Sorrell has denied wrongdoing. As a result of the merger, MightyHive will become a wholly owned subsidiary of S4. Kim will join the S4 board of directors, alongside COO and cofounder Christopher Martin. Both will remain in their existing roles. Sorrell is also making MediaMonks cofounders Victor Knaap and Wesley ter Haar, as well as the agency’s CFO, Peter Rademaker, directors of S4.